Self storage has many wonderful uses. People all over use self storage solutions for a number of different reasons. Regardless of the reason, the units protect the belongings as long as they are stored properly. One of the most habitual users of storage units are EBay sellers. Some people chose to make a living off of their EBay sales. 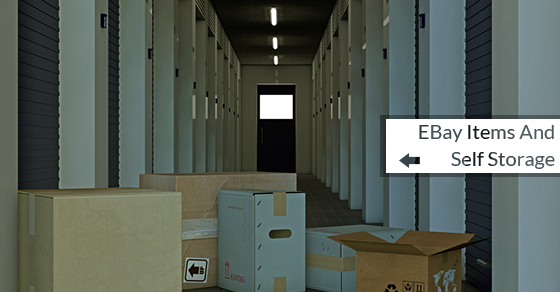 If you are used to selling things online, it would be wise to have somewhere to store your entire inventory. Of course, no one wants a ton of random and miscellaneous items taking over their own home, so self storage is a viable solution to the problem. By using self storage, not only are you keeping your office or residential property free of the extra clutter, but you are giving the items a safe haven until they are sold. As long as you store the items appropriately, they should remain safe and sound. The key is to keep everything accessible and in sight so that you aren’t fumbling around trying to find the right item to send off. When you are packing away items that will eventually be pulled out after they are sold, make sure that you can easily see and find them. Using air tight clear plastic containers in various sizes might be the best solution. Even if the boxes are clear, it is best to label them anyway. Align and stack the entire inventory against the walls of the unit so that you can easily walk in and access what you need. Even if you must opt for a larger storage unit to do this, it will be worth the small extra expenses. Make sure that everything you are selling is clean. Keeping the unit clean is also just as important. It will help to keep pests away and prevent the items from accumulating a foul odor. Keep the unit dry and try to keep all of the containers from sitting directly on the floor. Don’t allow any water to get into the unit and make sure it stays cool and dry at all times of the year. It is best to get a humidity controlled storage unit. Storing away EBay items in a self storage unit is a great way to have access to everything without keeping it on your own property. Just make sure you stay organized and pack away everything tightly.